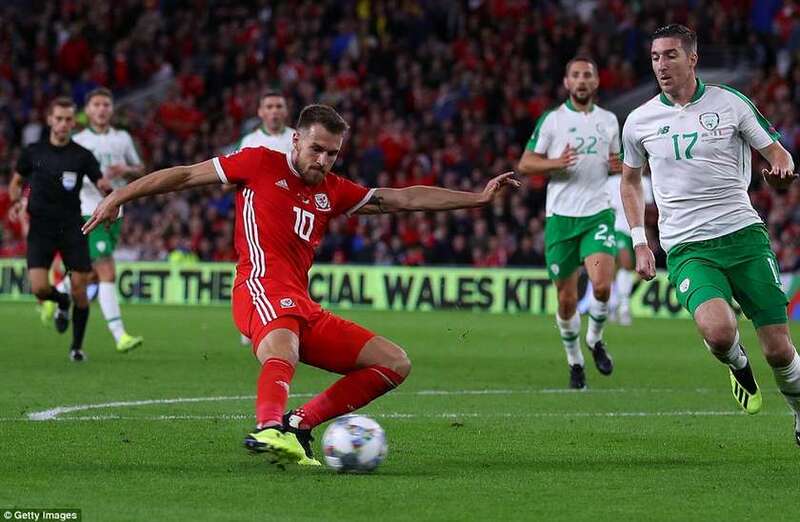 Wales surged into a new era under Ryan Giggs with a convincing 4-1 victory over the Republic of Ireland in the UEFA Nations League on Thursday. In Giggs' first competitive game in charge, Wales were fast out of the blocks and blew Martin O'Neill's side away in the first 45 minutes with three fantastic goals scored by Tom Lawrence (6), Gareth Bale (18) and Aaron Ramsey (37). Swansea youngster Conor Roberts capped a wonderful performance with a splendid half-volley (55) on a night where Chelsea starlet Ethan Ampadu bossed the midfield from his deep-lying position. Shaun Williams (66) nicked a consolation for the visitors after a Ramsey error but there was little else for O'Neill to shout about on a chastening night for his outclassed side. There was a clear energy installed from the off by Giggs in his young team with Bale, David Brooks and Lawrence pressing a daydreaming Ireland back four deep into their own half. Joe Allen sliced open the visitors defence with a sensational pass on six minutes that was lashed home by Lawrence by a tight angle. A super finish but one Darren Randolph was beaten far too easily at his near post. Bale's pace was causing major problems for Ciaran Clark and when Ben Davies found the Real Madrid forward with a stunning 60-yard ball on 18 minutes, there was trouble ahead. Ryan Giggs named a youthful side for his first competitive game in charge. 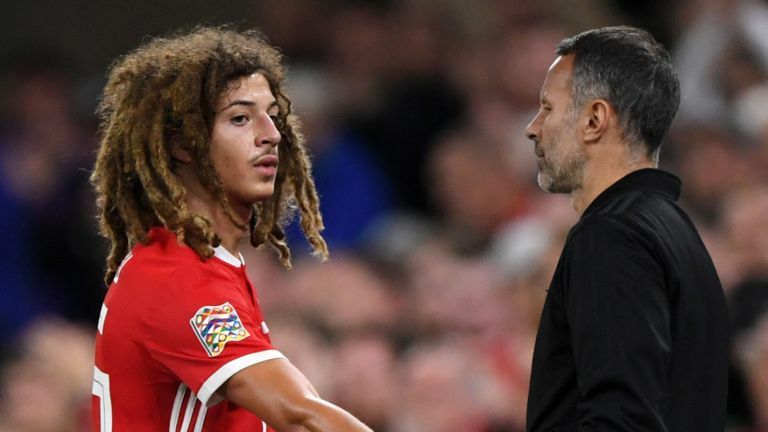 Ethan Ampadu, David Brooks, Conor Roberts and Chris Mepham only had nine caps between them – they were flanked by the experienced Gareth Bale and Aaron Ramsey. Meanwhile, Shane Long and James McClean were both missing through injury which handed Preston youngster Calum Robinson a debut. Bale drove at Clark, moved the ball onto his left foot and from 22 yards curled a sensational effort into the top corner. Ramsey got in on the act before the break when the impressive Ampadu, who is only 17-years-old, robbed Jonathan Walters of the ball and slid in Ramsey. The Arsenal man drilled a low shot that once against beat Randolph at his near post. It was nearly a perfect evening for Giggs' side but a sloppy error from Ramsey allowed Williams to saunter through on goal and his chip beat Wayne Hennessey, whose only job on the night was to pick the ball out of his net. On this showing, the future is bright for Wales. "He was like a Rolls-Royce in midfield," said co-commentator Keith Andrews. This was a midfield masterclass put in by the 17-year-old. He played like a season international in front of the brilliant back three epitomized by his assist for Ramsey's goal where he outmuscled Walters and picked out Ramsey with a cool pass. Chelsea and Wales have quite a player on their hands. Wales: Hennessey (6), Ampadu (9), Williams (7), Mepham (7), Davies (8), Allen (8), Ramsey (7), C. Roberts (8), Lawrence (7), Brooks (8), Bale (8). Republic of Ireland: Randolph (4), Coleman (6), Duffy (5), Clark (3), Ward (4), Christie (5), Hendrick (3), Hourihane (3), O'Dowda (5), Robinson (5), Walters (5). Wales picked up their first ever competitive victory against the Republic of Ireland, having failed to win each of the previous four competitive meetings (D2 L2). The Republic of Ireland have lost back-to-back competitive games for the first time under O'Neill (1-5 v Denmark and 1-4 v Wales). The Republic of Ireland suffered their heaviest away defeat since October 2013, when they were beaten 0-3 by Germany in a 2014 World Cup qualifier. Bale became the first player to reach 30 goals for the Welsh national team (two more than Ian Rush, 28). 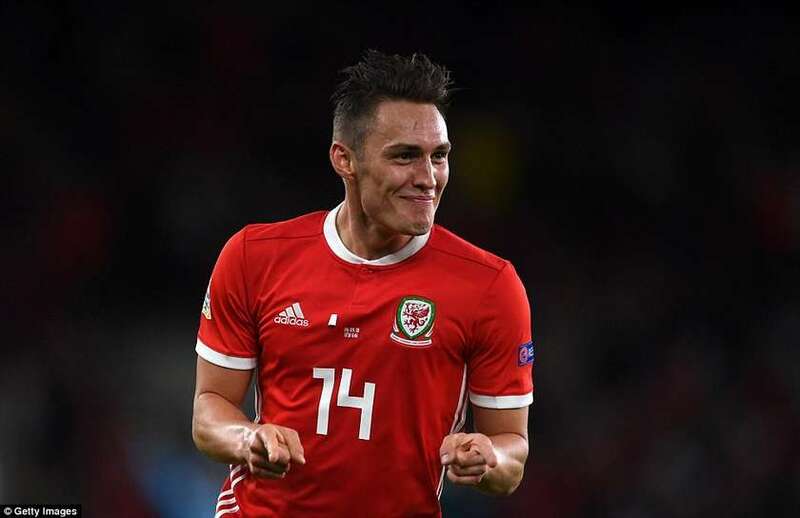 Lawrence has scored in three of his last five starts for Wales, including in each of his last two at the Cardiff City Stadium. Excluding own goals, this was the first time Wales have had four different goalscorers in a competitive game since a 4-0 win in March 2003 v Azerbaijan (Simon Davies, Gary Speed, John Hartson and Ryan Giggs). Next up for Wales is Denmark on Sunday in the Nations League. The Danes will have a full-strength team to pick from after a temporary deal was struck between the Danish football association and their player's body. Meanwhile, Ireland take on Poland in a friendly on Tuesday.